The Digifly Leonardo Pro BT with a high power, fully independent, double battery system, it has an integrated high sensitivity 20 channel SIRF III GPS receiver. With Bluetooth compatibility the Leonardo Pro BT is the ultimate vario from Digifly for full management of competition waypoints and routes, including FAI cylinder turnpoint and start pilon validation. By buying this product you can collect up to 47 loyalty points. Your cart will total 47 points that can be converted into a voucher of 10 €. 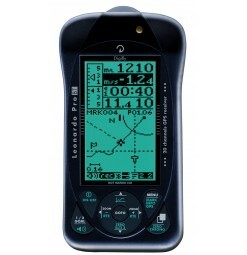 The Digifly Leonardo Pro BT with Bluetooth has an integrated high sensitivity 20 channel SIRF III GPS receiver. Bluetooth compatibility and a high power, fully independent, double battery system make the Leonardo Pro BT the ultimate vario from Digifly for full management of competition waypoints and routes, including FAI cylinder turnpoint and start pilon validation. With telemetry output and Bluetooth. The Leonardo Pro BT buttons are clearly labeled, so users new to Digifly will quickly feel at home navigating the setup menus and the nine main display screens on this new vario. The large, clear LCD screen also makes for easy observation in flight and the new high power audio on the front panel means that pilots will have no difficulties hearing the loud vario tones. Nine fully customisable main display screens on the Leonardo Pro BT provide the pilot with as much (or as little information) as they require. Automatic switching between the Thermal Display Screen and the Glide Compass or Glide Plotter Display Screens is handled by the onboard Intelliflight software, which detects if you are thermaling or on a glide. Comprehensive "Speed To Fly" information using data from both the integrated high sensitivity 20 channel SIRF III GPS receiver and the optional Digifly Air Speed Indicator unit will help you make the correct piloting decisions at critical points in your flights. The Leonardo Pro BT has a high power, fully independent, double battery system. The main power is supplied by an internal rechargeable lithium battery (supplied as standard) with a full recharge time of only 3 hours. This battery has no memory effect, so it can be be partially recharged, it also has a very low self discharge rate (more than one year) and works very well at low temperatures. Battery life ranges from 30 hours to 200 hours depending on whether GPS or Bluetooth has been activated. The Leonardo Pro BT has a non-rechargable 1.5 volt AA size backup battery. This battery is situated in the removable battery "slot" and can also be replaced with other 1.5 volt AA size batteries. Rechargeable batteries can be used, though are not recommended for the backup battery system because of their high self discharge rate (after 2 months they are completely discharged and useless). If using a rechargable backup battery, note that this battery is not recharged by the instrument but has to be removed and recharged externally by the user. The backup battery life ranges from 20 hours to 200 hours depending on whether GPS or Bluetooth has been activated. The Leonardo Pro BT has high speed (10 times per second) telemetry output. This is a new very powerful function that sends your flight information in "real time" to external equipment e.g. 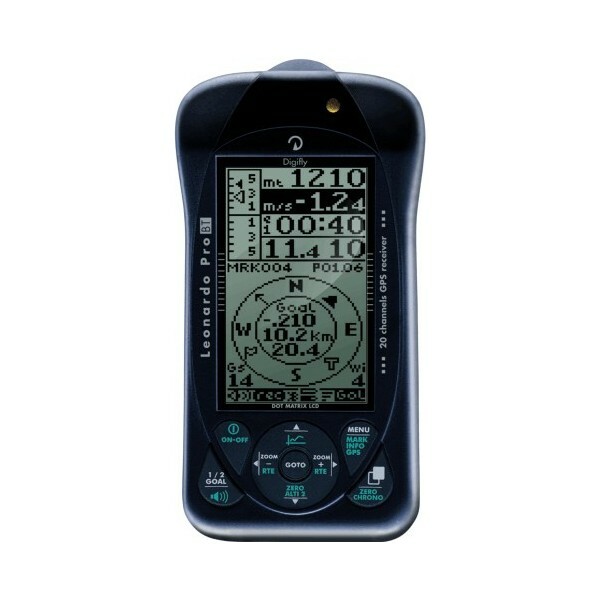 Palm, Pocket PC or your even to your mobile phone by Bluetooth or a serial/ USB cable. Data can be sent to external equipment e.g. 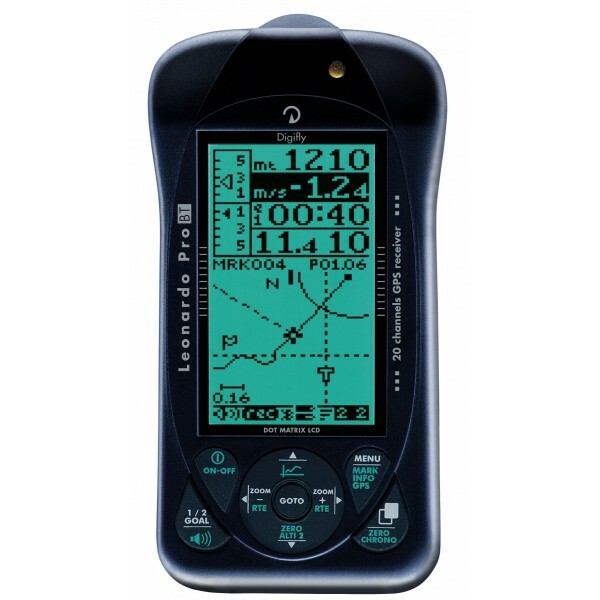 for car navigation, remote tracking of pilots, alarm SMS alarm messages for "search & rescue", CompeGPS for Pocket PC, mobile phones and many flight programs running on Palm, Pocket PC and Cellphone (available free on the internet). The Leonardo Pro BT software can be updated via the optional USB PC cable allowing you to keep your flight instrument right up to date with the latest software improvements from Digifly. There is also extra peace of mind with an extended 3 year warranty.